A nice odlschool prod by Ikari dk section. He.. I rememer this, one of the first demos I saw when I finally got a discdrive for my C64. Back then I thought it was superb, so I give it a thumb up. In retrospect there probably were better demos out at the time though. 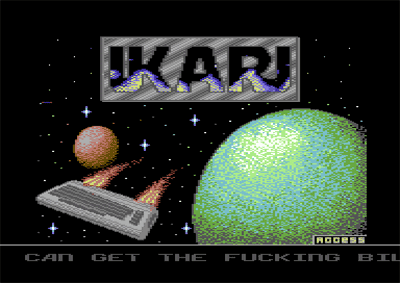 Greetings to our old friends in IKARI. Ok. This was once commented by myself with thumb. Let's just leave it that when I get my next coop decoration, it will go here. rulez added on the 2014-05-13 17:51:21 by ɧ4ɾɗվ. page created in 0.013817 seconds with 15 queries.